What happens when a man who is a master of playing a yūrei in kabuki dies and becomes a yūrei himself? That is the question answered in the strange story of Kohada Koheiji, the kabuki actor who finally assumed the role he was born to play. Kohada Koheiji was a third-rate kabuki actor struggling to make a living on the Edo kabuki stage during the time of Ichikawa Danjūrō II (1688-1758). Kohada lacked both natural talent and experience, and could not be cast in a role. Feeling sorry for him, Kohada’s drama instructor bribed a director to cast Kohada in some role—any role. Just so that Kohada would finally be able to take to the stage. 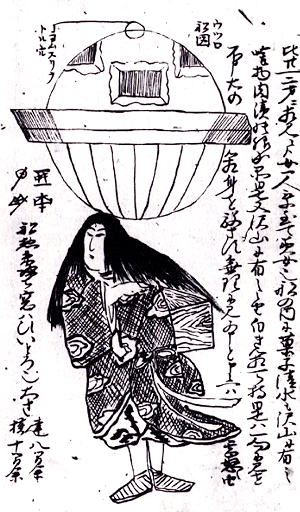 The director took one look at Kohada and saw that he bore a natural resemblance to the yūrei characters of kabuki. His skin was white, his eyes dark and sunken, and his hair long and unruly. 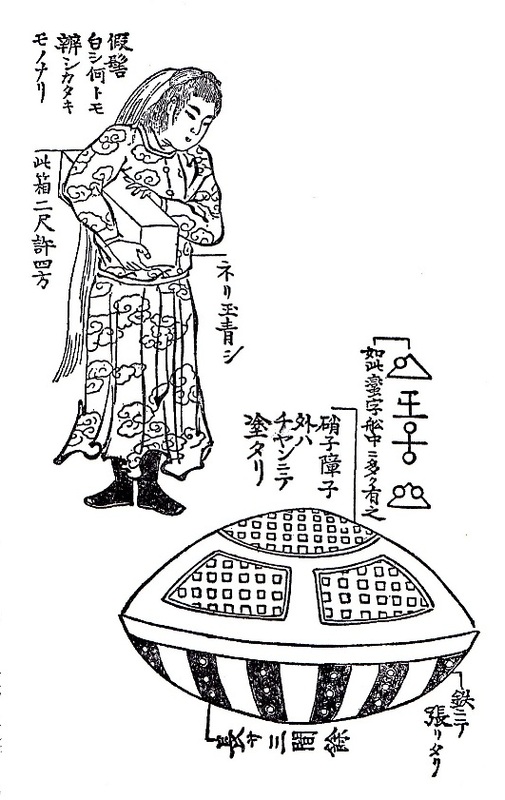 The director thought he could save some money on make-up and costume and cast Kohada in the yūrei role of the play. While it wasn’t exactly his dream role, Kohada saw this as his big break and threw himself into studying. He went to the morgue to observe dead faces, and learned how to slack his face muscles and hold his body like a dead man. His diligence and hard work paid off, and Kohada was an overnight success. His fame spread, however his skill was limited. He could only be cast in yūrei roles, which led his fellow actors to nickname him Yūrei Kohada. Kohada had a wife named Otsuka whom he was deeply in love with. 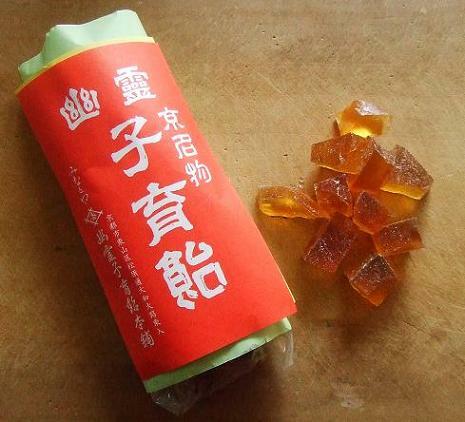 Otsuka, however did not return the affection and thought Kohada was an embarrassing fool. Behind his back she was having an affair with a fellow actor named Adachi Sakuro. Together they hatched a plot to get rid of Kohada. When they were away together on a tour, Adachi invited Kohada to go fishing. 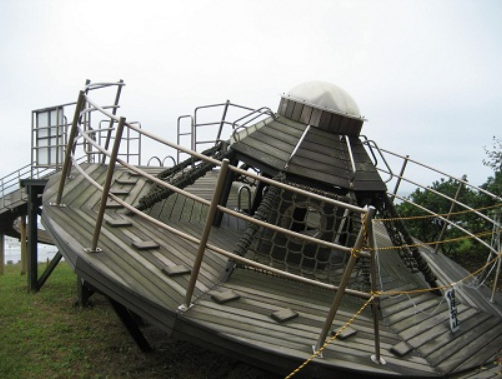 Suspecting nothing, Kohada went out with Adachi on a boat into the Asaka Swamp. Once they were far out from shore, Adachi surprised Kohada, pushing him off the boat and holding him under the water until he drowned. Adachi was thrilled with his deed, and hurried back to let Otsuka know that he had cleared the path to their love. But he was not the only one. Kohada was not content to lie dead at the bottom of the swamp. He rose again a yūrei, and went to meet Adachi and Otsuka in Edo. As might be expected, Kohada was a fabulous yūrei. More than any man alive, he had practiced enough to perfect the role. His new dead self looked exactly has he had on the stage, and he knew every trick to elicit terror in the cheating, murderous couple. He haunted them relentlessly, driving them had and eventually to their own unnatural deaths. 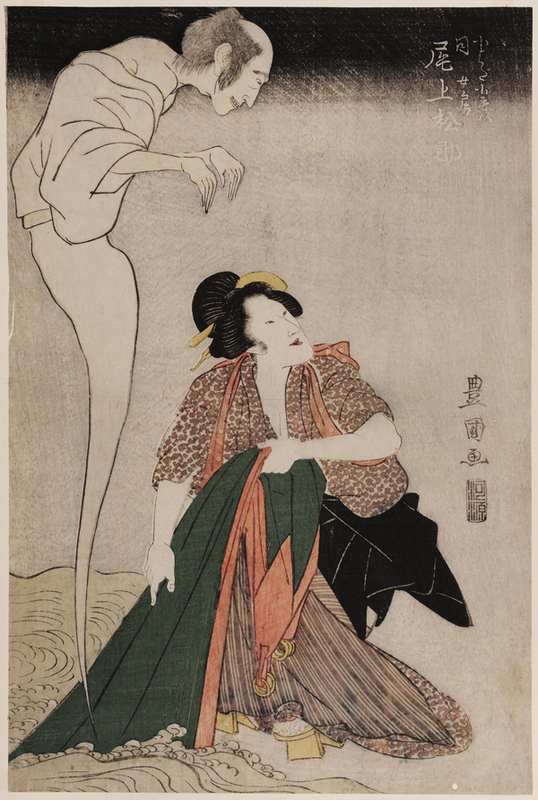 Kohada Kojeiji was a popular figure in Edo period romance fiction and kabuki theater. 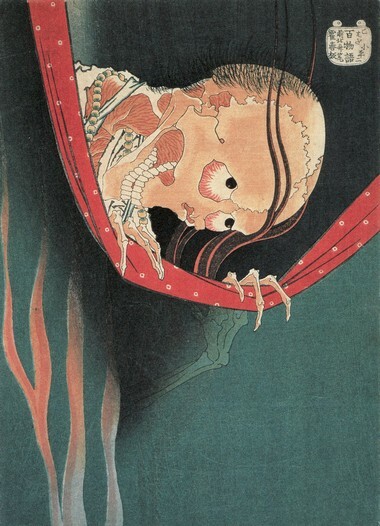 His story and image appear in numerous plays and art, including Hokusai’s famous portrait of his skeletal form peering over the mosquito net. It was always assumed that the story was true. It was passed around town as an urban legend, with bits and pieces being gathered and attached here and there. 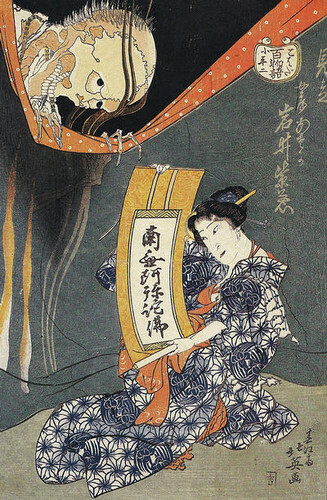 The story was finally written and published in the 3rd year of Kyowa (1803), written by Santō Kyōden with illustrations by Kitao Shigemasa, under the title Fukushu Kidan Asaka no Nema (復讐奇談安積沼; The Strange Story of Revenge in Asaka Swamp). 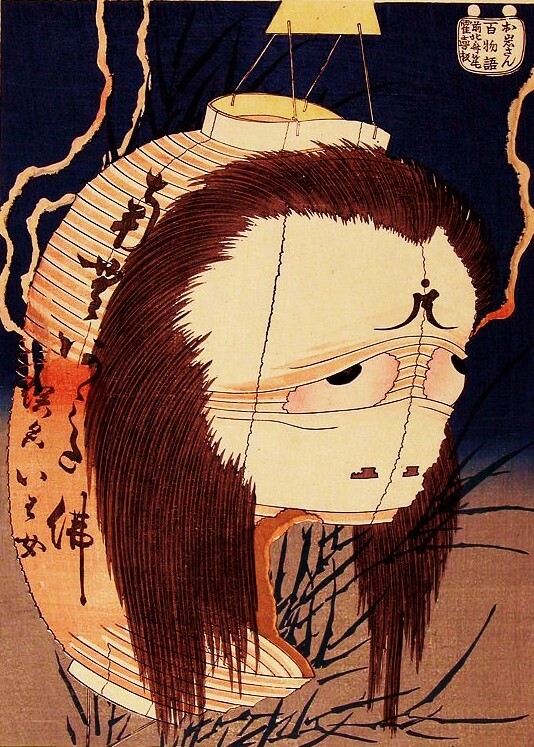 It was adapted for the kabuki stage in the 5th year of Bunka (1808), written and directed by the playwright Tsuruya Namboku VI under the title Iroe Iri Otogi Zoku. 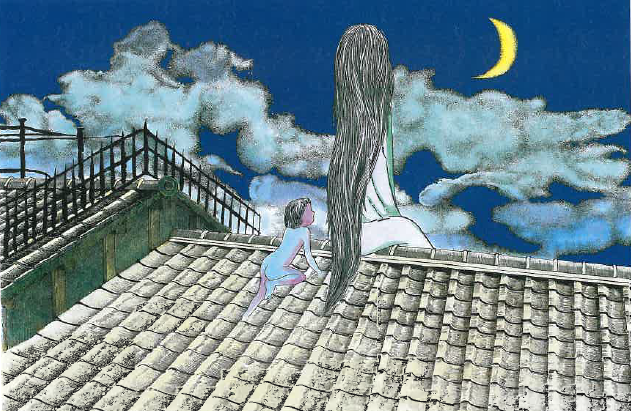 (彩入御伽艸; Colored Nursery Tales). 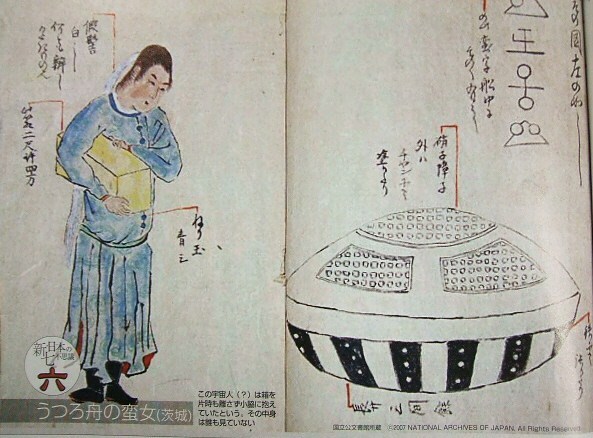 We know the details of Kohada Koheiji’s story thanks to Yamazaki Yoshishige, a historical investigator who wrote the journal Umiroku (海録; Record of the Sea) from 1820 to 1837. 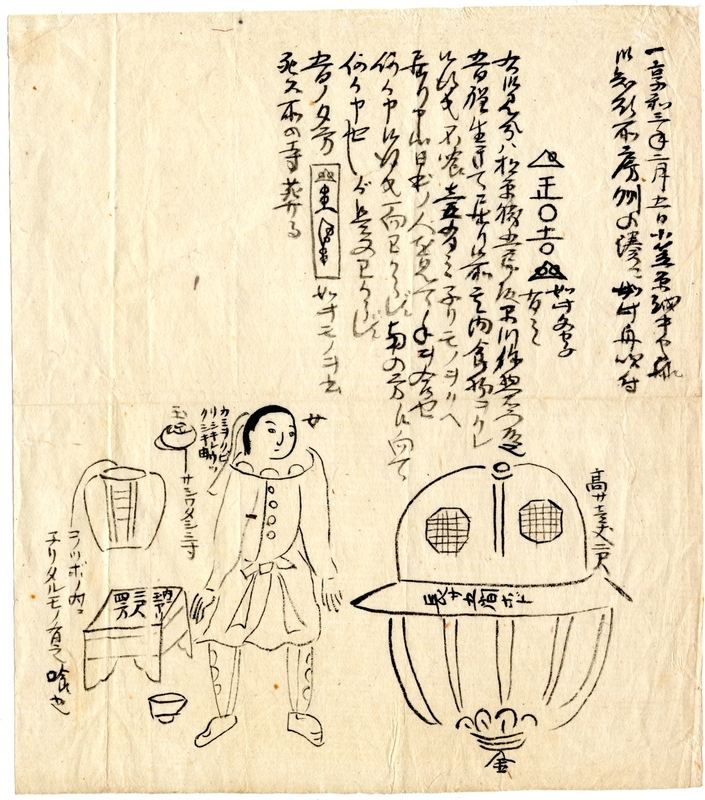 Yamazaki investigated the story of Kohada Koheiji, and found that glimmers of the story began around the 1700s. Piecing everything together, he discovered the model for the story, a traveling entertainer whose name was actually Kohada Koheiji. Kohada had apparently been a terrible actor who killed himself out of despair for his lack of talent. His wife was not saddened by the loss, and asked a friend to help cover up the embarrassing death, hoping to report Kohada as missing or run off. They did not do a good job, and the deed was uncovered. The real wife was rumored to have an affair with the real Adachi Sakuro, and Kohada’s body was discovered in Chiba prefecture in Inba Swamp. When that story became news, it was only a small leap from the true story for townspeople to speculate that Kohada’s wife and Adachi had actually killed Kohada. From there, the story gained traction as the details were filled in and the supernatural elements added. 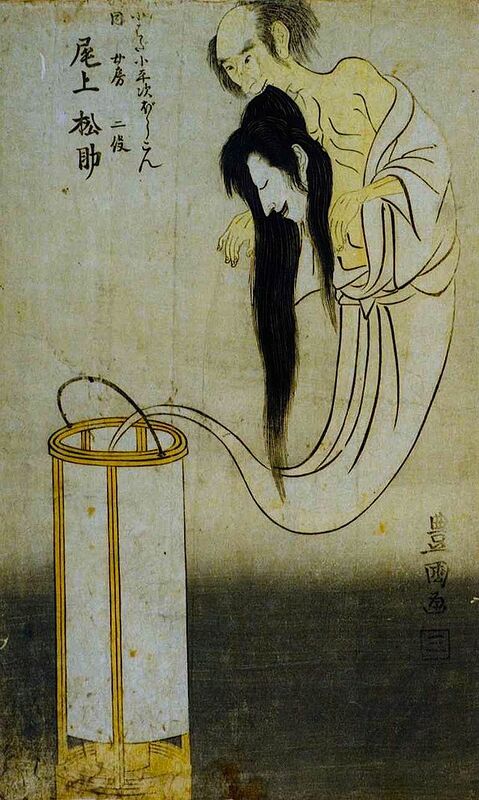 Like another kabuki ghost, Oiwa, Kohada is said to still be haunting the kabuki theater. He is said to especially haunt those who take on his role in kabuki adaptations. The only way to get out of this curse is to make an offering at his grave before taking on the role. 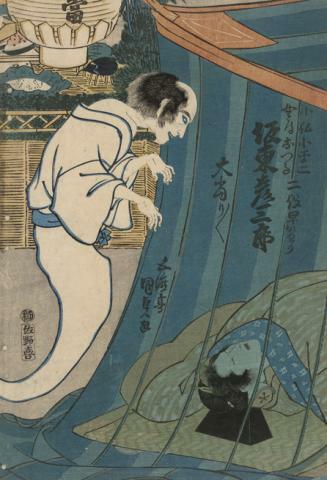 Ever since the Edo period, actors taking on the yūrei roles were thought to take their lives into their own hands. 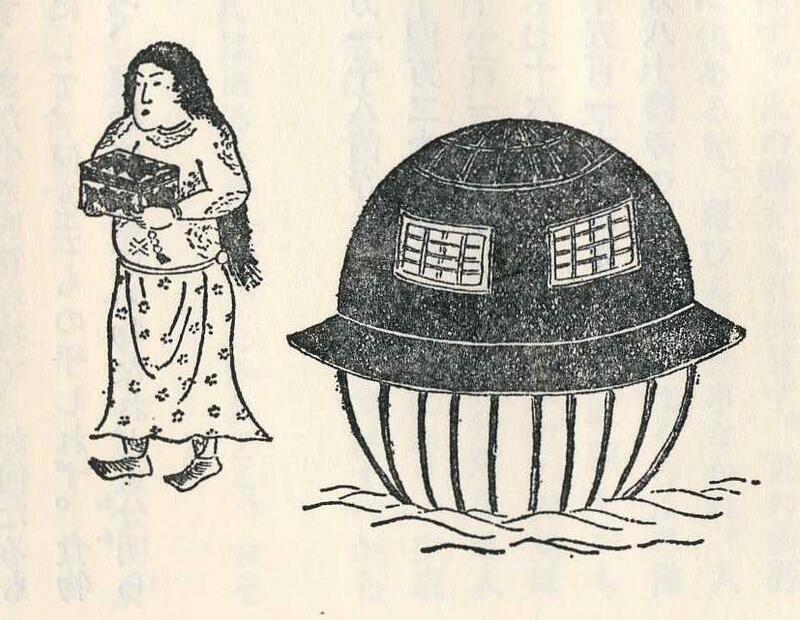 During the Edo period, children were less afraid than the adults. They had a saying of “Yūrei aren’t scary! Look, I’m eating Kohada!” referring to the small shad fish called kohada. Kohada Koheiji is an interesting figure in that he is one of the few male yūrei from the Edo period to show up consistently in art. Oiwa, Otsuyu, and Okiku were regular attractions in ukiyo-e, but only Kohada joins their ranks for the men’s team. Artists almost universally chose the scene of Kohada peeking over the mosquito netting for their work. Because it is so darn spooky!